If you grew up in the 90s and were at least slightly nerdy, then you probably recognise the name “Commander Keen”. Yes, he might not have quite the same amount of fame as Mario, Sonic or Duke Nukem but he was one of the all-time great platforming heroes of the 1990s. However, apart from a Game Boy Colour game (which I haven’t played) and a final appearance in an easter egg in “Doom II”, Commander Keen has pretty much vanished from the face of the earth. 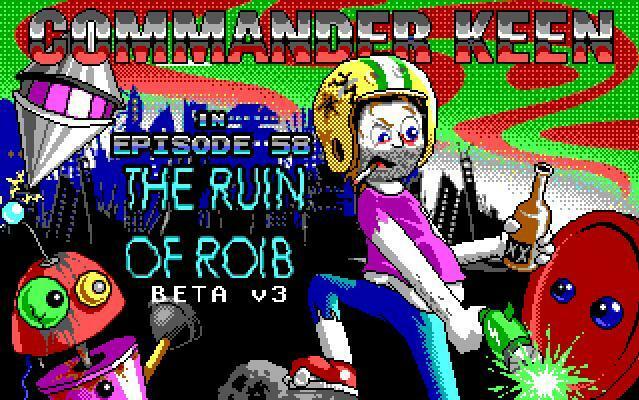 “Commander Keen 58: The Ruin Of Roib” is one of many unofficial fan games featuring Commander Keen which have been made within the past decade or two. In fact, it’s technically a mod for “Commander Keen 4”. But, since “Commander Keen 4” is shareware, a copy of it comes packaged with the mod – turning it into a standalone game. However, you will need to use DOSbox in order to play this game because, well, “Commander Keen 4” is a DOS game (and you get extra nerd points if you remember actually playing it in proper DOS). Warning: This title screen may cause seizures. “Commander Keen 58” takes place a few decades after the original games and, well, Commander Keen hasn’t exactly been fortunate. Everyone thinks that he’s a failure and his life seems to be going nowhere – so, he decides to rescue the Bean-With-Bacon Megarocket from the local dump and relive his younger days as an adventurer. However, soon after he fires up his ship, he receives a distress signal from the planet Roib. 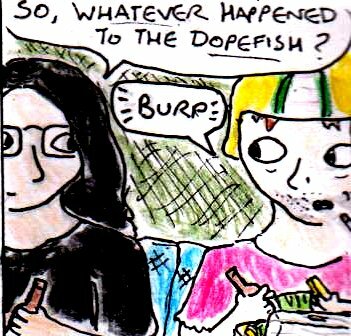 But, by the time he arrives, the planet has already been laid to waste and invaded by alien creatures. But, on the plus side, you can still enjoy a fun game of “Glitch War”. As for the gameplay and level design, it’s a lot more difficult than I remember. It might just be that I’m out of practice but, even on easy difficulty, you will die a lot. In fact, you’re going to be spending most of the time memorising enemy locations and swearing at your computer screen. Yes, I’ve played it for about an hour and the only level I managed to complete without resorting to cheat codes was the very first level. This game is punishingly difficult! The graphics and animations in “Commander Keen 58” are absolutely brilliant though. Even after playing this game for an hour, I still find myself bursting into laughter whenever Keen jumps, uses his pogo stick or climbs a pole. Seriously, this game is worth playing just for Keen’s animations. 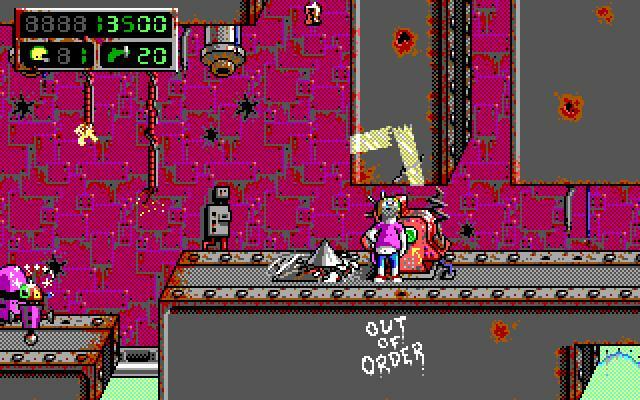 All in all, from what I’ve played, “Commander Keen 58” is an extremely challenging game which is both hilarious and also strangely poignant too. The level design is as good as the levels in the original game and the animations are absolutely brilliant. If you’ve played the original games, then you really should download it and check it out for yourself. If I had to give it a score out of five then, from what I’ve played, it’d get at least a four. This entry was posted in Reviews and tagged Commander Keen, Commander Keen 58 The Ruin Of Roib, first impressions, freeware, LOL, parody, review.